Mr. Davis has 28 years of solid leadership, strategy development, investment, and financial services expertise. 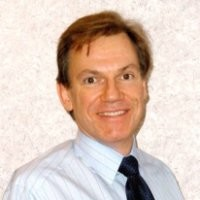 Most recently, he held the role of Vice President, Strategy & Asset Mix and Chief Economist at Ontario Teachers’ Pension Plan (Teachers’) in Toronto, where he led a team providing investment strategy, economic analysis, emerging market insight and responsible investing expertise to the pension fund. Before joining Teachers’, Mr. Davis was President of FuturesTrend Capital Corporation in Prince Edward Island and Vice President & Head, Global Fixed Income & Currencies at RBC Global Investment Management in Toronto. He is a CFA® charterholder and has an MBA, Finance from Dalhousie University.